So what are you going do and how are you going to fix it? If you could truly figure out a problem like Everton then you’d be my go-to-person for lots of other things, like why aren’t kids called Terry or Colin any more? Or at what exact age range do your taste buds hit puberty and you start liking coffee and olives? 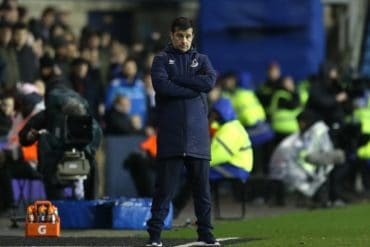 Some context is needed as it’s hardly as if a dull result away to Arsenal is an unexpected occurrence but it’s the least in a long catalogue of really dire Everton performances this season. It’s tiring us all out. Stop it Everton, can’t you see our lethargy? Such is the default defensive mechanism for many blues in that we try to build our resistant levels of not arsedness. The ‘Mood NATO of your weekend’ trying to protect you from that uncontrollable beast of Everton making you sleepless at night. So is it really that bad? Read on to not find out at all really. 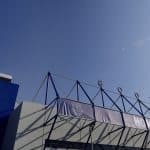 As much a tradition of being happy with Everton on a Friday and fuming with them on a Monday is the advent of a poll popping up on the forum attached to this site assessing the support for or against our current Manager at least once a week. They’re a bit churlish and as a man consciously aware of the slew of lines appearing on my face they’re not the type of polls I’m going to take part in. I’d rather vote UKIP – the bigoted biffs – than participate in an angry poll looking for a mandate to turn against the current business card owner with Everton Manager on it. Do you reckon Roberto Martinez has business cards? If he does then Solo Le Mejor is so embossed in silver or gold leaf somewhere on it. No mobile number either, just a land line and extension in the office that dependable secretary Jean can intercept should you be an undesirable. Or trying to sell six foot eight Africans. Only journalists get the cell number scribbled down by hand on the back. Point is – and the preview is all over the shop by this point – that there’s no metaphor I can give you right now that will truly resonate with the crushing dullness that is Everton. Our predictability is both the toast of the opposition and the scorn of our fans. I just read more words from Martinez about him bigging up his ability to stick with his belief and formula during this current prolonged spell of crud as though that’s the magic ticket to saving us all. I dearly hope I’m proved wrong for my own sake, or maybe his? Stoke provides another golden opportunity to find that desperate Kevin Brock back pass moment. Or at the very least try something that works like natural wide men, a keeper prone to at some point in the next decade picking up a man of the match award or just generally going after the opposition and monstering their anxiety ridden defence into an easy three points for us. Try it Everton, go on. Stoke stand in the way of our imminent revival that leads all the way to being crowned kings of football, for ever and ever. They’re doing not so bad themselves to be fair to them. There’s a bit of a problem now with previewing Stoke as if you’ve been unfortunate enough to read a prior preview of them from me you’d note they are on an endangered list of clubs that get a pass because either I don’t mind them or they’re far less knobheady than the inbred yokels we have to endure chanting about our inability to sing most weeks. But then Stoke hired Mark Hughes as their manager, which isn’t a good thing. Well, good for them as he’s doing a fine job and there will be no surprises if they maintain their wee purple patch of late and brush us aside for an easy three points. But generally any club giving Mark Hughes actual money is complicit with funding slack jawed bellism and all its forms in society. You know why so there’s not much need to go deep into any dislike of him. My overall apathy for things other than Everton subsides when I see horizontal chinned knuckle on any sort of TV or paper. The beaut looks like an airbrushed Zelda from Terrorhawks. Fan wise you know what you get with Stoke. There’s an element of wool, as Stoke bravely fights against the giant black hole of Birmingham trying to swallow it up, and also a bit too much of Dad who wears a vest and puts his sofa out in the front garden in summer sat there drinking Skol. That apart though, they’re far more preferably to the selection of arsenuggets wearing their team colours and travelling up and down the country to #bantz opposition fans. All made up because he got his tweet or text published by the quilts on BBC Live Text. You’re not so much that Stoke, so well done. 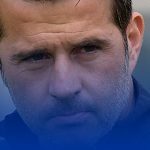 It’s a bit of a lazy stereotype to accuse Stoke of having only one approach to playing football – take note Everton – as they are more than capable of putting their foot on the ball and playing some nice uncomplicated stuff. They have to endure cry arse other team’s managers and fans are adept at weeping with self righteousness that they turned over their beloved and left some of their players with a bruise here or there. 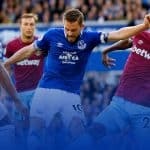 Again – and check me turning into a disgruntled letter page writer – it was disappointing to read of Martinez sucking up to Wenger and calling other teams “parasites” for not wanting to play attacking football. If it’s that limited, then go ahead and beat them as easily as you should. Stoke won’t need any encouragement or manual on how to approach playing Everton. Up front they have some options – Crouch is finding himself a niche as a goalscoring substitute late in games, his header against Hull on the weekend confirming his position as joint top scorer of headed goals along with Alan Shearer in the Premier League. Such facts. Or Hughes may persist with Diouf. Meth toothed number ten Charlie Adams, who really should be living under a flyover, will be looking to pull the strings and leave his fat snidey foot in somewhere. He’s long over due a slap from one of ours. And get some Lynx Java all over him while we’re at it. Fellow bluenose Jonathan Walters will play sort of wide with Victor Moses on the other side of of midfield. Nzonzi and Whelan will do lots of dirty work in the middle against our two deployed there. In defence Shawcross is injured so sits this out and Huth is Stoke no more so there’ll be few other over exuberant creatures in there like unconvincing mid week bouncers on a woolly wine bar. The ref will give us absolutely nada when they assault our own on set pieces either. Bardsley and Pieters as full backs and Begovic in goal. You’d be looking at that an fancying your chances if we was on blob, but we’re not. Who’s playing then? Atsu is still not recovered from the virus he picked up at the African Cup Of Nations – there’s a big profiling machine in Heathrow bleeping all over the show at that – and I’m not sure McGeady even existed at all? No worries anyway as Osman is playing himself back to starting on the wing soon enough, and we can all party like it’s 2005. Or Lennon, whatever he does? Gibson will defo start this as it’s apparent he can offer a little bit of confidence in a one paced midfield along with whoever tickles Martinez’ fancy. It will as mentioned before be a touch abrasive in the middle there. 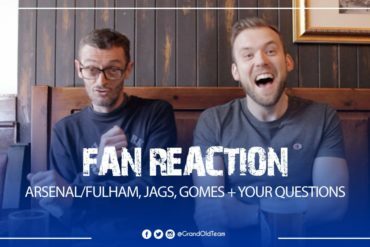 Jagielka and Stones will start in defence, Coleman on the right and Baines is facing a late fitness test although Garbutt hasn’t done himself any harm at all with a couple of sharp appearances. You know who’s in goal. Lose this and we’re 28 points from 28 games and looking over our shoulders as Stoke soar a full 14 points ahead of us. 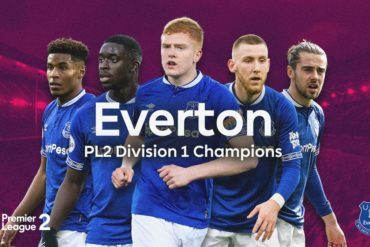 Turning into absolute ratshit as only Everton can do it seems. But how do we fix it? Maybe we should just enjoy it for what it is which is a regular distraction from the humdrum of getting through another week on earth.